Marlan have been commissioned by work package four of the BLUEcoast project led by The University of Liverpool and the National Oceanography Centre, to deploy an off-grid Synoptic nearshore survey and monitoring system on the Suffolk Coast at RSPB Minsmere. The Marlan operations team prepared the off-grid Rapidar system for travel at its previous deployment on the River Mersey. The system was then packed up into the 3 m ISO shipping container and transported over 250 miles and redeployed in a single 24 hr period to begin collecting data autonomously and cost-effectively. 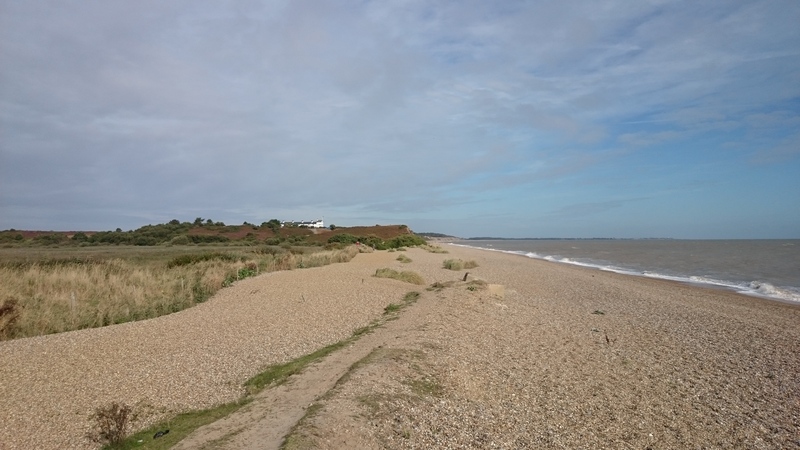 The objectives of the project include gathering continuous bathymetric data around Dunwich bank and the subtidal nearshore bars that reduce the impacts of erosion on Minsmere cliffs. The Synoptic radar system will also gather wave and surface current data over a wide area and will allow the BLUECoast team to better assess the effects of strong winter storms on this coastal system. This site has been breached, abandoned to sea and subsequently reclaimed several times in the last millennium. Most recently it was breached and allowed to flood in WWII to deny the German forces an ideal landing location on the Suffolk coast during their operation Sealion. At various points along the beach, the remains of concrete tank traps can be seen in the dunes. The Environment Agency assessment estimates that Dunwich Heath and the Minsmere beach could suffer severe erosion and damage within the next 20 years. The site also faces risks of fluvial flooding and potential overtopping during high tides and storm surges. The Synotpic system aims to feed data to a team of modelers who are trying to predict the effects of barrier breach on freshwater vegetation within the reserve. Stay tuned to see some data! ‹ Marlan Maritime Technologies wins Merseyside Innovation Award!